Home » india news » Explained: did the Chinese army make an incursion into Chamoli last week? Chinese troops were seen to have crossed into Barahoti, Chamoli, on 19 July. What exactly happened? 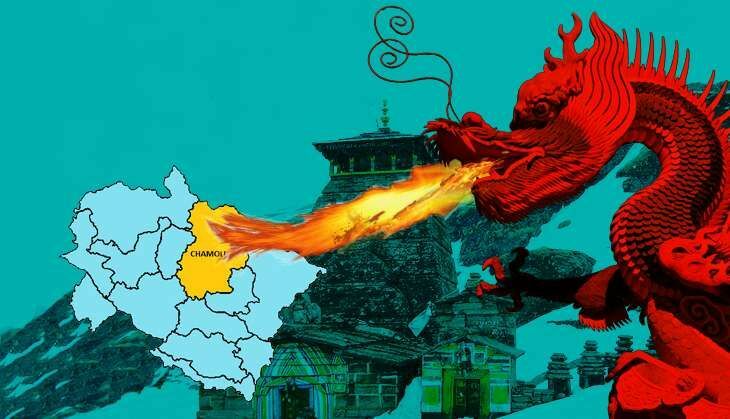 Did the Chinese make an incursion into Chamoli last week? Or was it just a border transgression? China's People's Liberation Army is the most formidable threat to India. Its defence expenditure is thrice that of the Indian military; in size, it's twice as big and its arsenal is several times bigger. It secures 4,057 km of border with India, which is the world's longest zone of contention. That's why Indian authorities get spooked every time they spot PLA troops on Indian turf. Which is what happened on 19 July in Chamoli, Uttarakhand. In itself, it's not as big an incident as that of Daulat Beg Oldi in 2013, when a whole PLA platoon was found to have camped 30 km inside the Indian side of the Line of Actual Control. Also read - Why did 250 Chinese troops intrude into Arunachal for a few hours? Any activity like construction work or troop movement near the loosely defined LAC is noteworthy for India's defence and home ministries as it could mean anything from a show of strength to deliberate interference to something as serious as the Beg Oldi incident. Although sources in the Uttarakhand government and the security forces that Catch reached out to confirmed that Chinese soldiers had been seen roaming in the disputed zone that India considers its own, the state's chief minister appeared confused about the incident. At a press conference, Rawat expressed "concern" about the presence of PLA soldiers. In the evening, however, he claimed there had been no incursion, only the concentration of PLA soldiers on the border had increased. There was "nothing to be alarmed as the activities were noticed in Chinese territory," he added for good measure. In the meantime, minutes after Rawat's press conference, India's deputy home minister Kiren Rijiju reacted to the news reports saying that "the government will first have to ascertain whether it was an intrusion or not". So, they would "seek a report on it," he added. So what actually happened? And how serious was the incident? Here's a lowdown. What happened on 19 July? China and India share a 4,057-km long border called the Line of Actual Control. Because most of it is loosely-defined, incursions by the Chinese troops or transgressions are regularly reported, mostly from the western (Ladakh) and eastern (Sikkim and Arunachal Pradesh) sectors. The "middle sector" (Uttarakhand) of the LAC has larrgely been quiet. But this is where the PLA troops were seen to have crossed into Indian territory on 19 July. In Barahoti area of Chamoli to be specific. What happened was that a team of 19 civil officers, which periodically inspects areas along the LAC, spotted fully armed Chinese troops on the Indian side around 8 km from the last security post in Rimkhim. So there definitely was an incursion by PLA troops? The Indian security establishment isn't referring to the 19 July incident as an "incursion" or "intrusion". The home and defence ministries usually use this term when foreign troops not only cross into India but set up camps as well, as happened at Daulat Beg Oldi. For now, the incident is being referred to as a "transgression". Was there a standoff between Chinese and Indian soldiers? "No, there was no standoff between the Chinese troops and ours. As soon as we spotted each other, we returned to our office and they went back to their camps," said a member of the 19-member team. India does not usually send armed soldiers to inspect LAC areas unless there are specific inputs about the presence of Chinese soldiers. On 19 July too the team that went with local shepherds, of the Bakkarwal tribe, to Barahoti was comprised only civil officers, who accidentally discovered the Chinese troops. As soon as they spotted each other, the Chinese soldiers asked the Indian officers to back off. The officers quickly returned to the district office. A while later, the Chinese troops reportedly went back to their camps. There was no standoff. Soon afterwards, local officers in Chamoli, along with the ITBP, which is posted in these areas, prepared an incident report and dispatched it to the home ministry the same day. So, the Chinese troops were discovered by accident. Aren't these areas regularly monitored by India? Yes, according to sources in the local administration as well as the security establishment, it appears the 19-member team didn't have prior information about the presence of PLA troops. Both India and China keep vigil along the LAC. While Indian teams inspect the middle sector four times a year, the Chinese make at least as many visits every month. What sort of area is Barahoti where PLA soldiers were found wandering on the Indian side? It's described as a "demilitarised zone" or "disputed zone". It's very close to the international border and forces from either country don't usually venture here. But there is no fence in Barahoti unlike elsewhere along the LAC. And there are few restrictions for local shepherds who regularly cross the border to graze their sheep in the pastures. Neither side minds the shepherds crossing over because they act as the "eyes and ears" of their security forces. More in Catch - China and Pak just finished an air drill in Tibet; what are the lessons for India? TWEET THIS Chinese troops were seen to have crossed into Barahoti, Chamoli, on 19 July. What exactly happened? Did the Chinese make an incursion into Chamoli last week? Or was it just a border transgression?